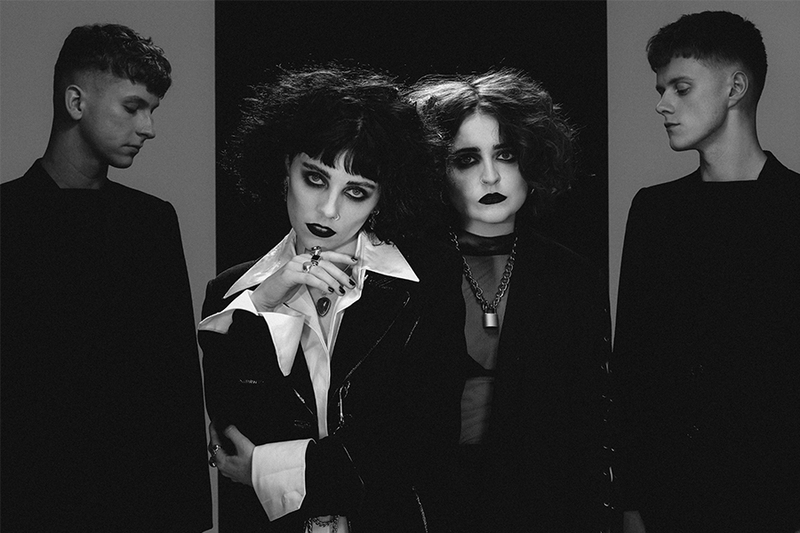 From uploading their first songs in 2015 to the sold-out live dates and rampant critical acclaim, Pale Waves – Heather Baron-Gracie (vocals), Ciara Doran (drums), Hugo Silvani (guitar) and Charlie Wood (bass) have already scorched an impressive path through pop with singles like ‘My Obsession’ and ‘There’s A Honey’ and their phenomenal debut album, ‘My Mind Makes Noises’. For those of us caught in the existential chasm between sharing absolutely everything about our breakfasts, and precisely nothing about the reality of our lives – Pale Waves’ goth pop strikes a familiar chord. As Heather said reflecting on writing the album, “I eventually accepted that it’s alright to put everything into a song the whole world will hear if it wants to”. Pale Waves’ ambition is unmistakable: it’s there in every song, but it’s also there in the attention to detail in their videos, visuals and live shows. As Heather says, “We want to create a whole world and take it as far as we can. There shouldn’t be boundaries”.